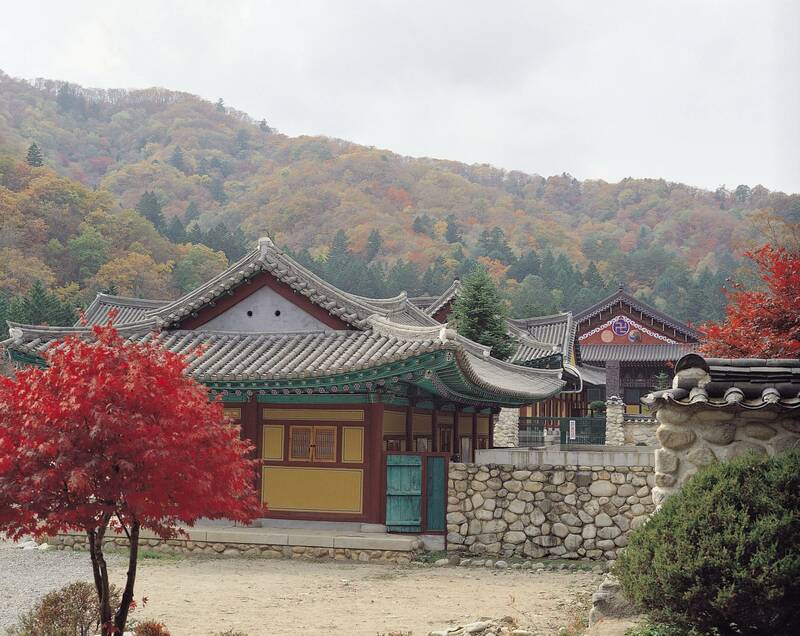 Immerse yourself in the peaceful surroundings of Mt Odaesan during a Korean temple stay at Woljeongsa. 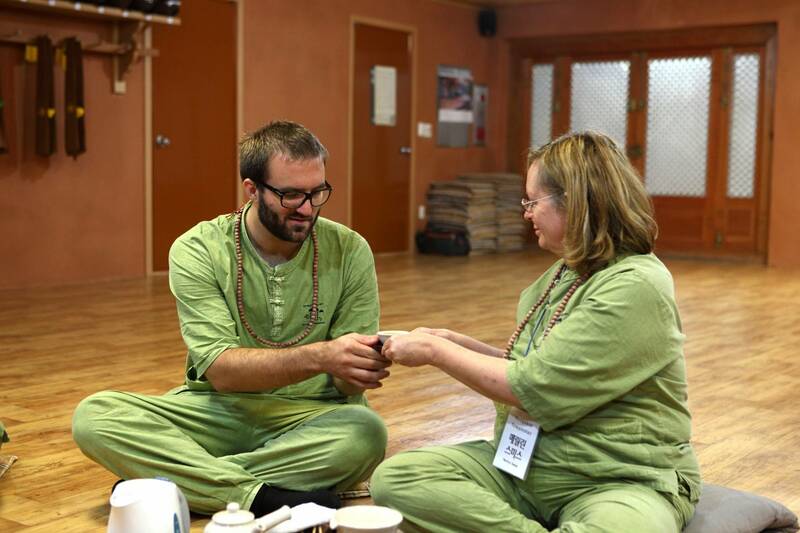 This experience at a traditional Buddhist temple offers visitors the chance to experience a day in the life of a Seon (Zen) practitioner: participate in an evening of Buddhist chanting, meditate in the early morning, and enjoy free time to explore a fir forest on your own. Expect meals and modest accommodations in a beautiful setting. 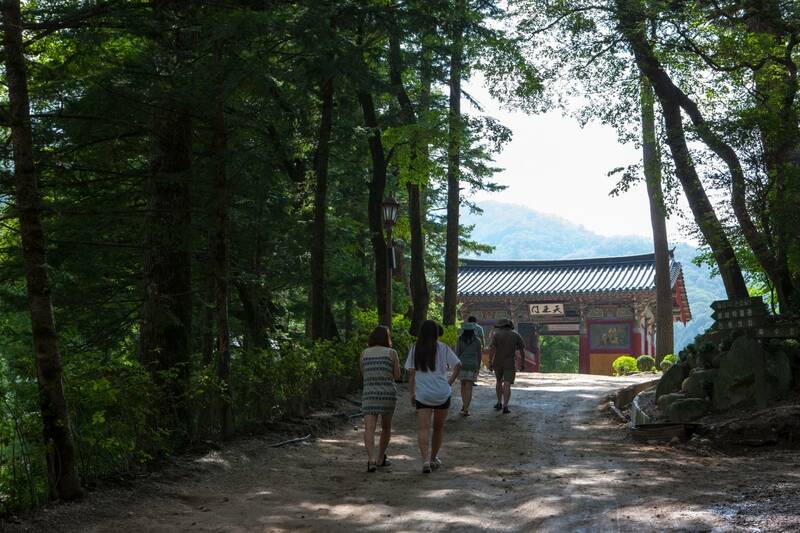 Start the tour by making our way to Woljeongsa Temple, located on Odaesan Mountain in Jinbu-myeon. Get picked up in the morning from your hotel in Seoul for a 2.5-hour drive by local bus to Jinbu bus terminal. Upon arrival, you will be outfitted with modest attire: pants and a vest that fits comfortably over your T-shirt. After registration, receive an orientation and information about appropriate Buddhist etiquette while staying at the temple. Temple stay programs may vary depending on individual temple situation, but it basically includes morning and evening services, meditation, tea ceremony, garden walks, lantern making and much more. Enjoy a provided dinner, followed by an opportunity to watch and listen to the ringing of Korean traditional bells in the evening. 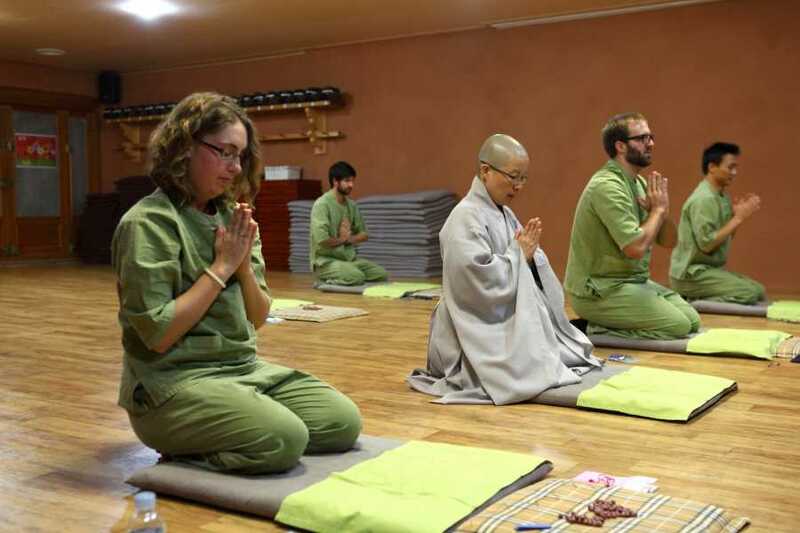 You can then participate in a 30-minute Buddhist service, listening to the monks' rhythmic chanting before lights out for a peaceful night’s rest. The room arrangements are shared, but separated between men and women. Awaken before dawn, and listen as temple bells signal the start of a new day. After washing up, start your day with a 30-minute morning Buddhist service that includes chanting and meditation. During your practice, refelct on the Buddha and learn a relaxing method of breathing that helps you clear your mind. Enjoy a temple breakfast, followed by several hours of free time to spend at your leisure. 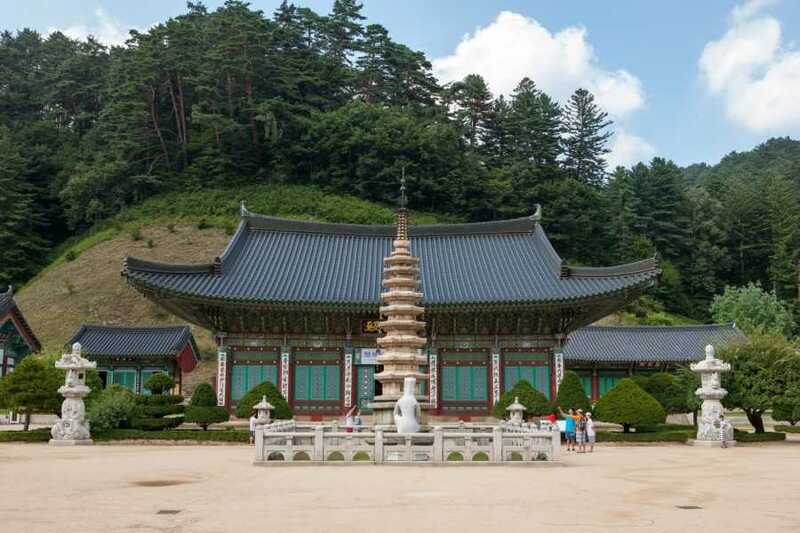 You can explore the temple complex on your own, relax by a mountain stream or take a hike through the temple’s fir tree-lined forest on Mt Odaesan. 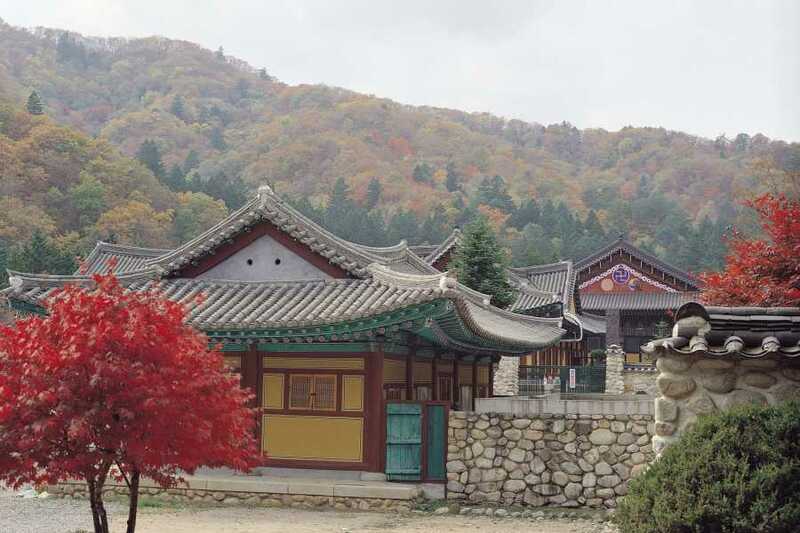 A popular route with visitors is the 5-mile (9-km) unpaved path from Woljeongsa up to Sangwonsa Temple. Here, you can really get a feeling for the area’s peaceful surroundings as you listen to the meditative stillness. Once you tidy up your room and pack up, head to lunch for a traditional, vegetarian monastic meal. You can practice the Buddhist method of eating mindfully and in harmony with nature. After lunch, you’re accompanied by shuttle bus back to Seoul.